Updated numbers from the Centers for Disease Control and Prevention tell us that about a quarter of all adults in the U.S. now have at least one type of disability1. This number is steadily growing. One key reason is that the baby-boom generation is aging, and they’re often developing disabilities as they get older. We also have more adults than ever coping with chronic diseases such as diabetes, which can often lead to vision loss, reduced mobility or other disabilities. Also on the rise is the percentage of American adults using the web. This may be hard to imagine, but back in the year 2000, only half of all adults were using the Internet. Today, according to the Pew Research Center, about nine out of 10 adults go online2. These aren’t just young people. Internet use in all age groups has risen over time. In fact, two-thirds of seniors are online! So, just how do people with disabilities access the web? There’s actually no single answer, because it’s extremely individual. For one thing, it depends on the kind of disability that someone has. There’s a wide variety of disability types, affecting vision, hearing, mobility, cognitive skills, and so on. Web access also depends on many other factors, such as the person’s device (e.g. smartphone, tablet or laptop), the assistive technology and devices they may or may not have (e.g. screen readers or an adaptive keyboard), their familiarity with computers, the reasons they’re going online, and more. Finally, the use of digital properties depends very much on the accessibility level of the website or mobile app the user is visiting. If a website is filled with barriers, someone with a disability will have a very different experience compared to being on an accessible site. For instance, they may find they’re able to perform fewer functions – perhaps no functions – independently. They may not be able to read all the text on the page. They may not understand some of the information being conveyed. This will make a tremendous difference to the way they are able to use the site. Let’s peek over the shoulder of a few people with disabilities to find out just how they access – or attempt to access – the web. 1. Margaux has low vision. Margaux isn’t totally blind, but she can’t read small print on a computer screen. She also has trouble making out the words if the contrast is poor. She doesn’t use any special equipment to go on her laptop. However, she does make frequent use of her browser’s zoom feature to enlarge what’s on her screen. Margaux has two preschool-aged grandchildren whom she adores. She loves to spoil them, and frequently shops for them online. Sometimes, when Margaux enlarges the screen, a chunk of the text disappears, or is overlapped by another element on the page. This makes it impossible to read. Sometimes she comes across websites that use colors or hues without much contrast, such as grey text over a slightly lighter grey background. She can’t read these without a struggle, either. When she encounters websites like these, she immediately looks for alternative shopping sites that are more enjoyable to browse. 2. Hamid has cerebral palsy. Hamid’s disability affects all four of his limbs. He is also non-verbal. Hamid can operate a computer with his right hand, but he needs to use an oversized keyboard and a large trackball, and it’s usually slow going. He types even more slowly when he’s tired or his neck is sore. Hamid is planning a home renovation and has been spending time online getting product and design ideas, reading industry blogs and signing up for e-newsletters to stay in the loop. On some of the websites Hamid visits, he’s forced to scroll through irrelevant material to get to the sections he wants. The pages he’s on don’t have an option to click on a link and skip to the main content. He finds this exhausting, and will usually give up. When Hamid is signing up for a newsletter, all too often his session expires because he’s typing slowly. When he logs back in, he finds that the information he already typed is lost. It’s moments like these that make Hamid frustrated with the digital experience. Jolene sustained a spinal cord injury a decade ago. She can no longer move her fingers, but she has software on her computer that allows her to operate everything by voice. She has a strong background in marketing, and now that her children are in high school, she has decided to rejoin the work force. Although Jolene can use voice commands to go online, move around websites and type words, this technology only replaces keyboard controls. It doesn’t replace the mouse. It means that Jolene can only use websites that are completely operable by keyboard alone. Although Jolene can usually move around a website with voice commands, sometimes the navigation is not in the right order. When she tries to tab her way down a page, for instance, she might end up skipping all over the page in an illogical order. The same thing can happen when she’s filling out an application form. She finds that when she tabs from one field to the next, it’s completely out of order. Sometimes, when Jolene is reading a job description that intrigues her, she discovers that the only way to open the application form is to click a mouse, which she can’t do. Although Jolene has sought-after job skills, she’s been unable to apply for some positions because of web barriers. Here’s why you should feature assistive technology on your website. 4. Samuel has a hearing loss. Samuel is a college student, studying political science, and for upcoming spring break, he wants to surprise his fiancée with a vacation. When Samuel isn’t working on school assignments, he’s looking for vacation deals, particularly those that appear to offer deaf-friendly accommodations and attractions. Samuel doesn’t use any assistive technology to go online, but he often has trouble picking up audio information, especially when there’s a lot of background noise. Many of the travel websites Samuel visits feature stunning videos about the destination. But if they haven’t been captioned, Samuel can’t understand what they’re actually saying. He finds this off-putting, and it makes him feel much less inclined to consider those destinations. Samuel also has difficulty understanding some of the video material he needs to watch for his studies. Even when the clips do include captions, sometimes they’ve been poorly done. The captions are riddled with inconsistencies and inaccuracies, and they don’t always make sense. He finds it frustrating that he can’t quote from these video clips in his assignments. Here’s why multimedia accessibility is important. Clearly, every person with a disability is different, and has different needs. Now, multiply that by more than 60 million! This is why you shouldn’t have just one person’s needs in mind when you design a website to be accessible. Instead, it’s best to follow all the technical requirements of the most widely used standard for web accessibility: the Web Content Accessibility Guidelines (WCAG). 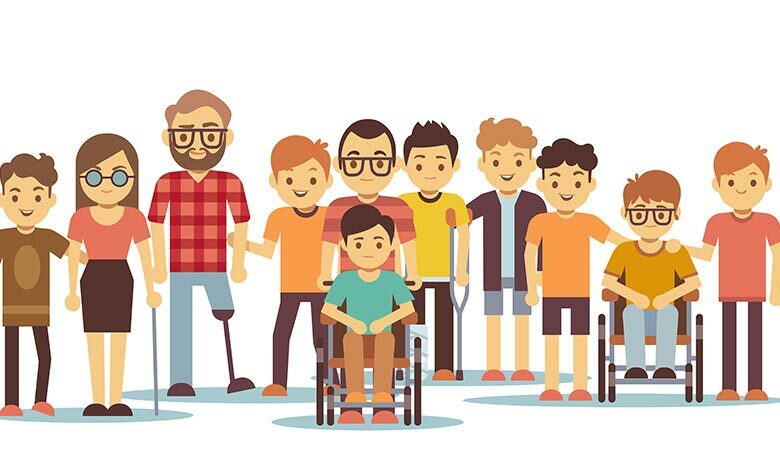 When you adhere to the success criteria in WCAG, you are likely to meet the needs of most people – no matter what their disability, technology or individual circumstances.